"Then comes the zenith of man's pleasure. Then comes the julep -- the mint julep. Who has not tasted one has lived in vain." Which is why on Saturday, we put aside our misgivings about the practical cruelty of horse racing and embrace the considerably more important components of the Kentucky Derby: the Mint Julep, bourbon generally, absurdly large hats, the arrival of spring, and, of course, seersucker. Join us Saturday for our now annual installment of, "The Kentucky Derby is decadent and Depraved," a party in which we attempt to strike the weird and delicate balance of both celebration and contempt for derby culture, all while swilling the greatest drink that man has ever concocted: the mint julep. Date/Time: We open at 3 p.m. on Saturday, May 2. The party continues until 1 a.m. Dinner service will run from 5 p.m to 10 p.m. We will wheel in a television to televise the race. Said television will be promptly wheeled out of the bar immediately after the race has ended. 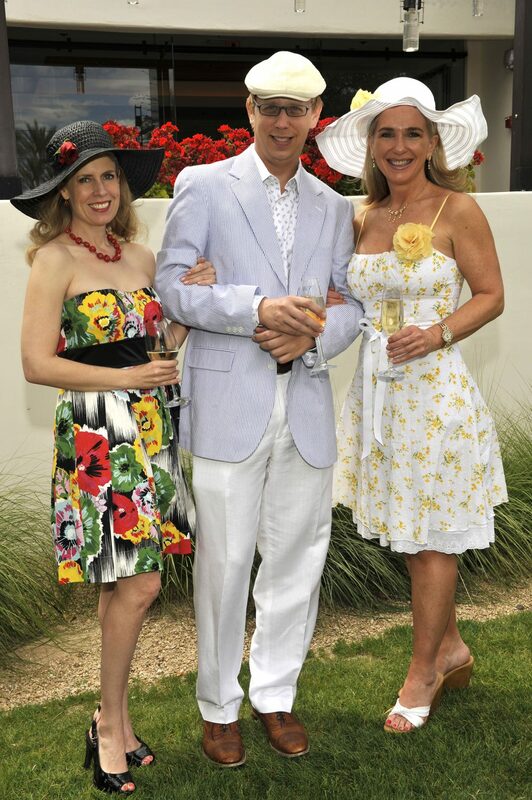 Dress: Derby attire is highly encouraged (nay, demanded). Derby attire can include ironic derby attire (e.g. seersucker and big hats), even more ironic derby attire (e.g. a t-shirt with an airbrushed horse and an American flag), and really, really ironic derby attire (e.g. a horse costume*). Drinks: Adam will be behind the bar making mint juleps (using bottled-in-bond bourbon, of course, you animals) and four other tasty bourbon cocktails. We'll also have beer as well as mint-juleps without the ice, mint, and simple syrup, for the true Kentuckian. * please note the discounted price and rush delivery options for the horse costume. ** What's the third "b" stand for? It's a typo. *** Menu "staples," really, but, there's a general horse theme here ... and horses live in stables ... so, you know ... and, you see, they sound similar... and are only one letter ... [sigh] ... get it? **** "What do we want? No more Horse Racing! When do we want it? After this Julep!"